Is it possible to upload the whole series? 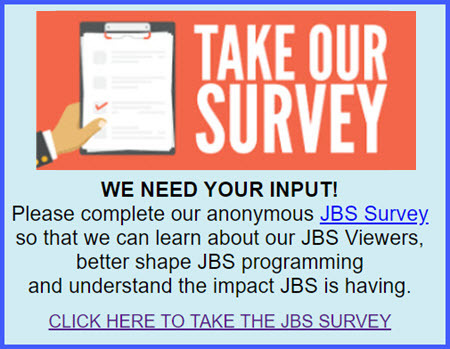 Thank you for your interest in JBS programming. JBS is a non-profit television network and we make certain programs available on DVD. The Jewish 101 series of 59 programs is available with a minimum $650 donation. To request the Jewish 101 series, please click on the DONATE button in our menu. Thank you again for your interest and support of JBS.